On 2 September a three member delegation of the Hurriyat Conference belonging to the Syed Ali Shah Geelani faction met with Pakistani envoy Abdul Basit. Reportedly a confidential letter for the Pakistan Prime Minister Nawaz Sharif was handed over to Basit. 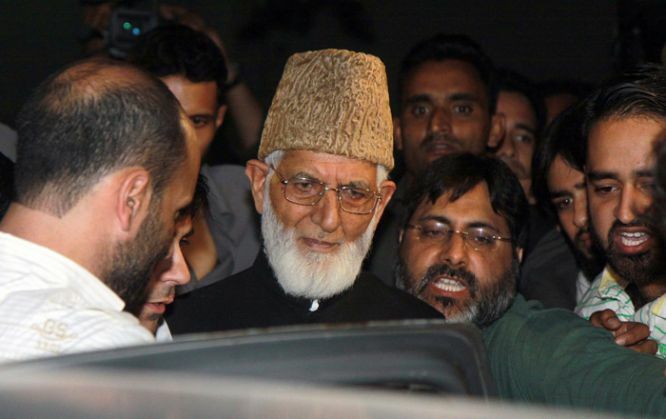 Ayaz Akbar, spokesperson of the Hurriyat Conference said, "we handed over Geelani sahab's letter for PM Sharif to the officials at the Pakistan High Commission in New Delhi." Geelani's top aides Ayaz Akbar, Peer Saifullah and Altaf Ahmad had met Basit at his office and stayed for over an hour. "The letter is confidential but highly important," said Akbar. He also stated that, "officials at the high commission assured us that the letter will be dispatched to the PM Nawaz Sharif." This is the first time Hurriyat members have met the Pakistani envoy after the NSA-level talks in New Delhi were called off by Pakistan.